If you're looking for a heart rate monitor that does more than just display your heart rate but isn't so high-end that you'd have to get a second mortgage to pay for it, the Polar F6 is an excellent choice. The F6 has a variety of functions, from tracking heart rate and workout intensity to calculating calories burned and time spent in each zone. It's easy to use, comes at a decent price and is offered in different sizes and colors, making it both comfortable and stylish. Like most heart rate monitors, you'll need to sit down and spend some time reading the F6 manual to learn how to set it up and use it during your workouts. The instructions are easy to follow, and the watch allows you to enter personal settings (such as weight, height, age, and gender) so that the watch can calculate your heart rate zones and calories burned. Continuous heart rate monitoring - Look down at any time to check your heart rate and monitor your intensity. A comparison of your current heart rate as compared to your target heart rate zone - This way, you can see if you need to work harder or back off if you're out of your zone. Record your workouts - This is a great feature, allowing you to choose the intensity of your workout (basic, light, moderate or hard), whether or not you want an alarm to sound when you drop below or go over your target heart rate zones, and how you want to track your heart rate. During the workout, you can scroll through different screens to view your heart rate and how many calories you've burned; you can also check to see if you're in your target heart rate zone. OwnZone — The OwnZone is a feature that determines your heart rate zone each time you work out. During your warm up, the watch will follow your heart rate at different intensities and then create a target heart rate zone based on those numbers. What's great about this is that it matches your energy level for that day, which is often reflected in your heart rate. Using the OwnZone can help you match your energy level and physical state with the right heart rate zone. Automatic — If you choose the Automatic setting, the watch will automatically calculate your heart rate based on your age. The standard formula used for this calculation is often underestimated, making the heart rate zones a bit low for many people. For that reason, you may choose the OwnZone or the Manual settings for most of your workouts. Manual — The Manual setting allows you to enter your own heart rate zone, making this the most versatile of the heart rate options. You can use a formula or calculator to come up with your heart rate zone, or you can use your own numbers. I find this setting is best when I'm doing a workout that includes a variety of intensities. For each heart rate option, except the manual version, you can choose from hard, moderate, light or basic intensity levels. This is great for tracking lighter workouts, such as yoga or Pilates, as well as more intense workouts, such as interval training. One of the F6's greatest features is the ability to track your calories burned, number of workouts, and intensity levels on a daily or weekly basis. Once you've recorded a workout, you can log into your diary to see how many workouts you've completed that week, how many calories you've burned, and how much time you've spent at each level of intensity — light, moderate, and hard. At the end of the week, a little envelope shows up in the upper righthand corner, reminding you to check your weekly totals. This feature is great for goal-setting. You can set goals based on how many calories you want to burn, or how many workouts you want to complete each week. You can also see how much time you spend at different intensity levels. If you notice you're spending more time at a light intensity, you might set a goal to increase your time spent at a moderate intensity. You can also view your "daily file," which stores information from your most recent workouts. The file shows the duration of your workout, calories burned, maximum and average heart rate and time spent in different intensity zones. This is perfect for exercisers who love tracking numbers or anyone who wants new ideas for setting goals. Another stand-out feature is the ability to transfer data from your watch to your PC using an uplink tool and a microphone. While the F6 offers some impressive features, there are a few drawbacks. First, like many heart rate monitors, the buttons aren't always intuitive. It takes some practice to figure out which buttons to push to get to the right screens, which can be frustrating if you're in the middle of the workout. And, though you can change some settings during your workout, it would be nice to have the ability to change the level of intensity. To do that, you have to stop the workout and start a new one. Last, I wish the timer and stopwatch were easier to find. I don't use them often, but I repeatedly have to refer to the manual to figure out how to get to them when I do. It would be nice to see those features in the same area as the heart rate information. 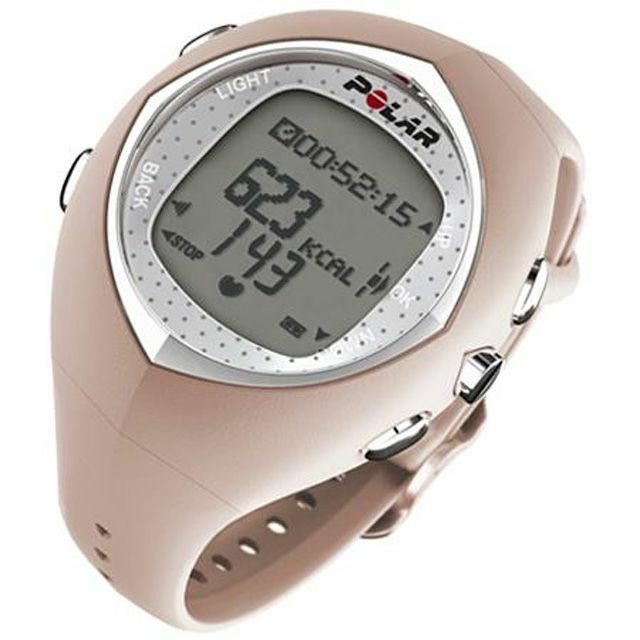 The Polar F6 is an excellent mid-range heart rate monitor for the exercise enthusiast who loves to geek out on numbers. There are so many ways to track your workouts, you can set endless goals to keep your workouts fresh and exciting. Are Larabars a Good Choice for Athletes? How Challenging Is the Wii Fit Really? Is Tony Horton's P90X Extreme Home Fitness Right for You? Is Cuisinart Electronic Yogurt Maker a Gamechanger?